Vastly superior in concept and execution, yet simple in practice, the marketing equation is the latest innovation in marketing for small business. This innovative approach, focused on performance, is the most complete and cohesive formula for achieving marketing results. Implementing this 5-factor formula efficiently leverages human capital, leaving businesses with more time, more money and documented results. Omni-channel marketing analytics makes everything measureable and everything a science. 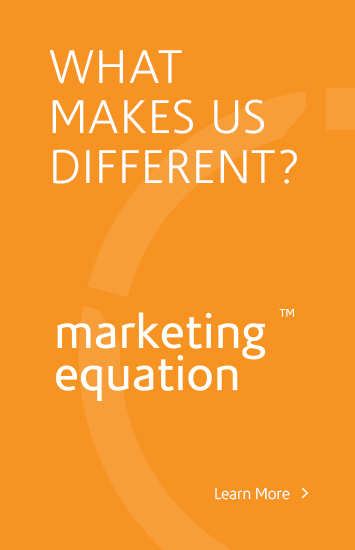 We measure and hold ourselves or others involved in the marketing execution of our client’s businesses ACCOUNTABLE. 48 Hour Guaranteed Response Time – You will hear from our team with a solution within 48 hours guaranteed. Response times are usually faster than that. We have full time project managers that reach out to you as soon as possible. We answer phone calls all day! – You will rarely get a voice-mail and when you do, you will get a call back and get the attention that you expect. We answer emails – We monitor our support email and tickets all day. You will get a response from our support team within 48 hours guaranteed. We offer various levels of pay-per-performance (PPP) marketing all the way up to 100% PPP which is risk-free to the customer. By simply applying on our website, businesses can have our marketing directors assess the level at which we would like to take risk in growing the companies that we work with. Grow your lead generation. Grow the credibility of your brand. Grow the level of marketing leadership and culture. Grow market share. Grow top line revenue. You will know more about your marketing’s performance. You will know more about marketing in general. You will always know what we are doing. You will always know what’s working. You will always know how to get answers. Neither you nor we will never be guessing. At Innovation Simple, we are so confident in our integrity and ability to give you what we say we are going to give you, we guarantee our integrity and your happiness 100%. We feel that we make this guarantee because we won’t contract to do anything for you that we don’t feel that we will be able to deliver completely. This includes web design and development services and other marketing services that you may contract to do with us. We know who you are – We have a reputation of listening intently and truly grasping the needs of our customers. We don’t pass you around to others in the company who may or may not understand your business. Your relationship manager understands you, guaranteed. We lay out the plan – Our powerful methodology, software and staff specialize in creating powerful brands that are built on strategic plans that are setup to dominate markets. Branding MANAGED.™ – Brand and digital in one place. Get powerful identity development that is cohesively connected to your digital presence, and everything else. Advertising MANAGED.™ – You can ditch the fragmentation of working with providers who don’t understand your business and get all marketing service providers all in one place. All digital and all traditional forms of advertising. Marketing MANAGED.™ – As your de facto marketing director, we manage brand and advertising but also act as marketing leadership and lower overhead, enhance vision and execution power all while gaining greater marketing power.